The breathtaking Pen Llyn will host for the third year the Pen Llŷn Ultra Marathon on June the 29th 2019. 50, 75 or 100 miles against the clock (24hours cut off). 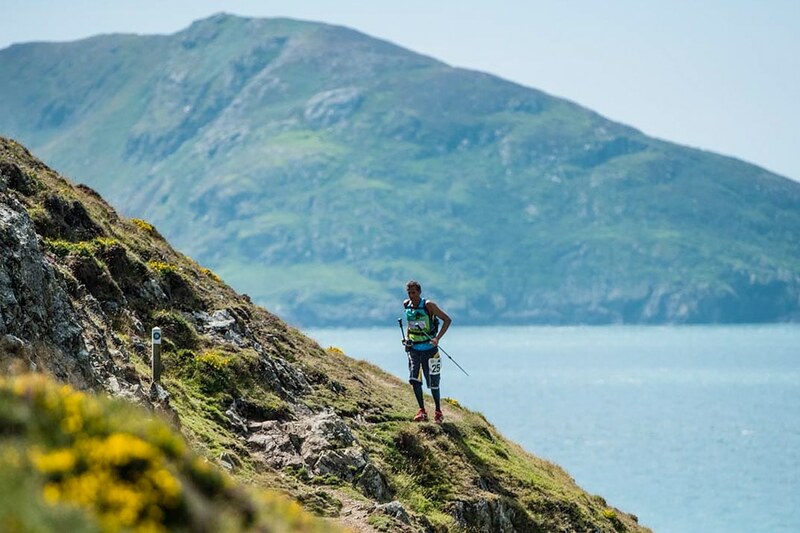 With a majority of the course hugging the coastal path this is sure to become an unforgettable race. The coastline boasts over 9 beaches, forts and caves and with a vertical challenge to cross back over the coast it certainly isn’t for the faint hearted. Entrants for the race must have completed a marathon in the last 12months. 50, 75 or 100 miles in 24 hours, that is the challenge posed by the third Pen Llŷn Ultra Marathon. The race starts and finishes at Plas Heli in Pwllheli, with 7 multiple checkpoints / aid stations along the scenic route. Tucked away beyond Snowdonia’s craggiest peaks with the Irish Sea on one side and Cardigan Bay on the other, the Llŷn Peninsula has a distinctive, unspoilt character that’s all its own. Its sunny southern coast draws walkers, wakeboarders and dinghy-sailors There are several islands dotted around the peninsula, with the famous ancient pilgrimage site of Bardsey Island, at its tip and can be seen in all its beauty during the race. The islands and coastline of Llŷn are a haven for wildlife and an area of outstanding natural beauty. Seals and dolphins are common sites around the peninsula. All of this makes a perfect back drop for the Pen Llŷn Ultra.